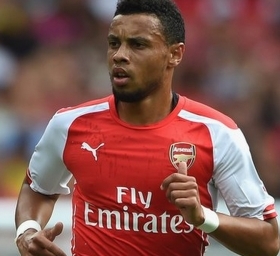 French midfielder Francis Coquelin has signed a new deal to keep him at Arsenal until the summer of 2019. The 23-year-old's previous deal was up in the summer, and talks were going on regarding a contract extension. Coquelin struggled to make his way in to the first-team at the start of the season, and was subsequently loaned out to Charlton on a short-term loan deal. However, his progress at the Championship side impressed manager Arsene Wenger, thereby earning him a recall to the starting line-up at Arsenal. The talented midfielder has now revealed to Ouest France that he has signed a new long-term contract with the North London giants. Coquelin has made 18 appearances for Arsenal this season.